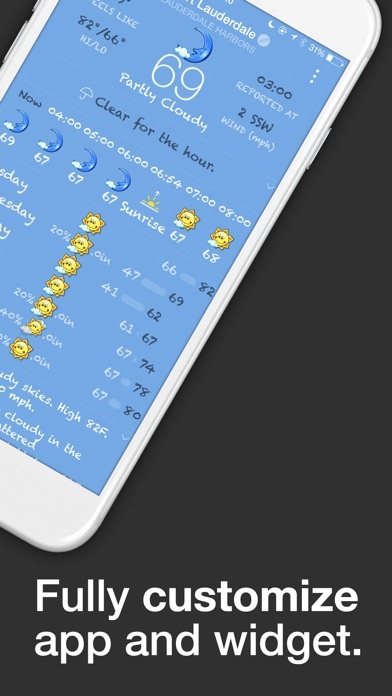 BeWeather is the most comprehensive and personal weather app and widget for iOS and Apple Watch. All using the familiar weather interface you have always used on your device. With BeWeather you can make the weather your own! BeWeather combines the weather data from Weather Underground's vast network of over 135,000+ worldwide weather stations and Forecast's hyper precise minute-to-minute rain predictions. 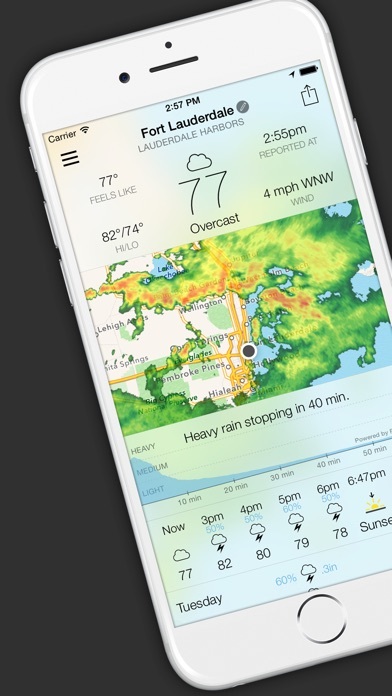 BeWeather gives you access to weather maps with animated radar, satellite, storm and hurricane trackers. Get realtime notifications for severe weather alerts and access to thousands of weather webcams from all over the world. The app, today widget and watch app can be fully customized with 10 color themes, 150 different free weather icons and many fonts to choose from. 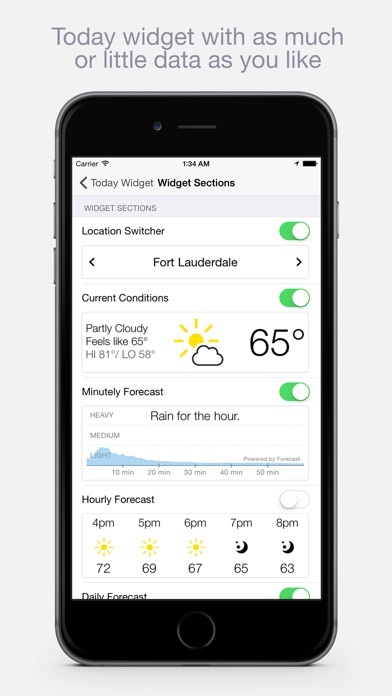 BeWeather's notification center widget gives you quick access to your weather, even from the lock screen. It shows as much or as little information as you like, including access to multiple locations. BeWeather on your wrist has been optimized from the ground up for speed and efficiency. 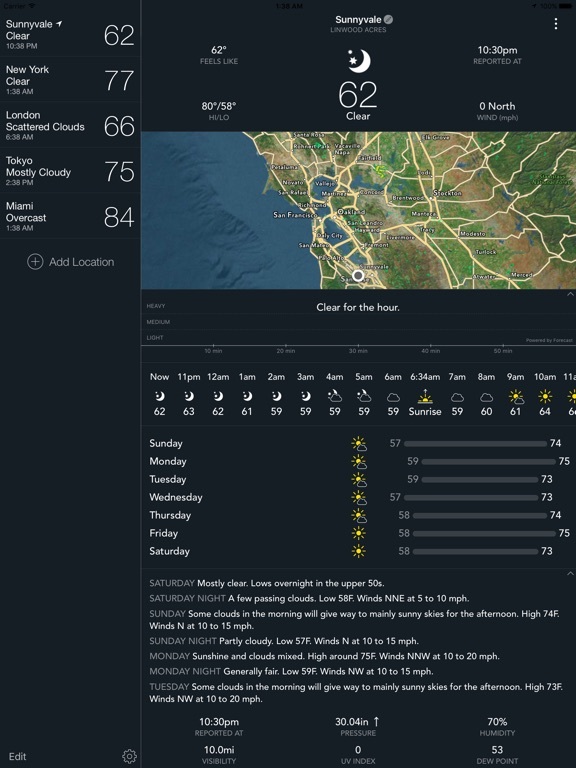 Get access to the weather on your watch in an instant. On the Apple Watch space is at a premium. Not everyone needs access to the same information, so BeWeather allows you to choose exactly what weather data you want to see on the BeWeather complication of the watch face. * Animated radar available in the US, Canada and Europe. Minute-to-minute rain predictions available in the US, UK and Ireland. 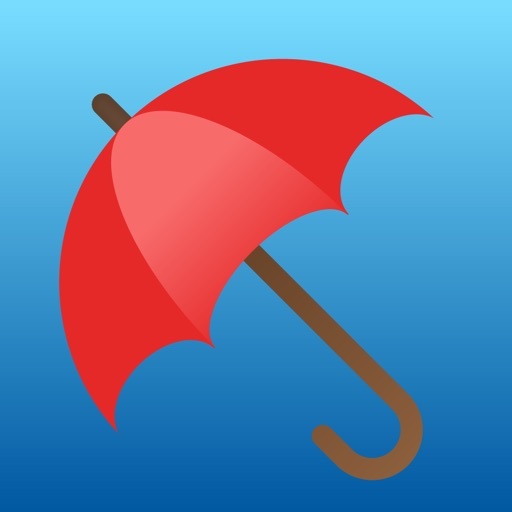 Realtime weather alerts available in the US and Europe. Thanks for using BeWeather 2 Pro! 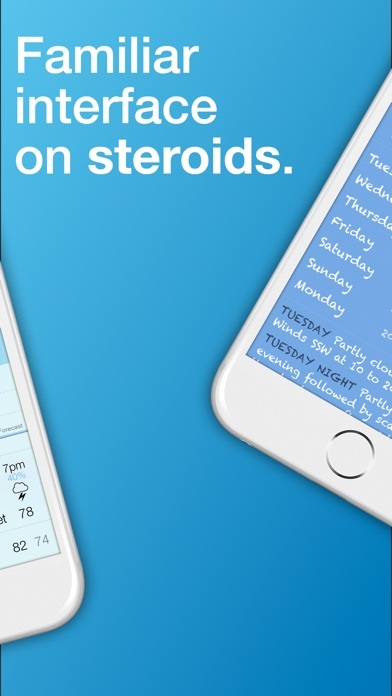 We are always making changes and improvements behind the scenes to bring you the best weather app experience. 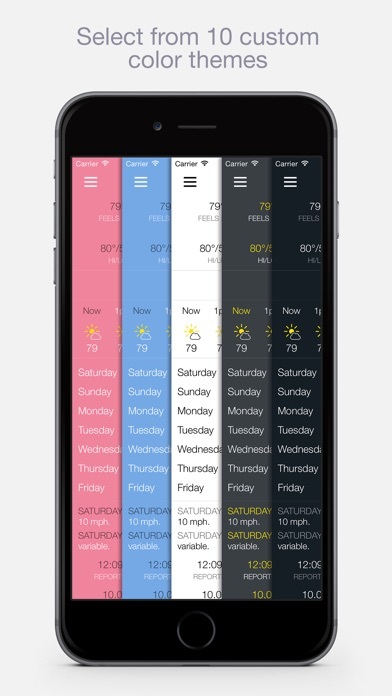 • Added a new daily forecast style "Vertical Bars". You can change to it in Settings > Advanced > Daily Forecast.